Acknowledgement Author: Diane Gray of Change Play Pty Ltd (www.getagameplan.com.au), edited by CCI. The biggest challenge in workplaces today is the sheer volume of change. It impacts decisions made at the top line, the front line and everywhere in between. It creates uncertainty, leaving people feeling lost, overwhelmed and lacking trust in decision makers. It reduces productivity and efficiencies – the very things change is meant to improve. As a result, change fatigue is being experienced at a phenomenal rate in organisation. And this is only the ‘everyday, normal’ changes that happen. It does not include critical change periods such as rapid growth, mergers, acquisitions or downsizing – the critical situations that involve re-structuring of an organisation, new people coming on board, merging teams, redundancies, cost cutting, meeting client demands and list goes on. Add these in, change now seems insurmountable and difficult to comprehend. People may start thinking positive yet the momentum slows then crawls to a stop and negativity sets in. They want information but is can be like getting blood out of a stone, resistance rears its ugly head, then change fatigue goes viral. Everyone is suffering! How do you know when change fatigue has sets in? The first thing is to recognise what leads to change fatigue and what it can look like. Change fatigue is a lack of interest, passive resignations, withdrawal towards change efforts by an organisation, teams or individuals. Interestingly, approximately 70% of change initiatives fail because of change fatigue. What does change fatigue look like? The workplace dynamics are in constant motion with incredible uncertainty, leaving projects started but not finished, too many projects or tasks being done at once, mergers and acquisitions undertaken and failed, people hired, people fired, redundancies forced, customer complaints increase, deadlines missed, regrouping to survive. It is like a juggler who starts with two or three knives then another one is thrown in, then another, the another and so on. In today’s fast paced, high demand, highly competitive workplace, the need to juggle many taks and portfolios at once is deemed as essential. Inevitably, some will be missed or left incomplete. There is no time to go back, there is no time to stop. People are exhausted, they are spinning on the spot – getting nowhere fast. Negativity is high, absenteeism and presenteeism increase, good people leave, people are working against each other, saving their own posteriors becomes their number one goal! This is change fatigue in reality – change is perceived as the enemy. What is happening in today’s way of working to make change the enemy? Change is deemed the instigator of all the problems encountered yet the answer to everything as well. No wonder people are left confused and uncertain! Yet change has been in existence longer than any of us have lived on this planet. We as human beings are designed to be highly adaptive to change but it is a skill many people have not learned or are not utilising. It’s time to get real – CHANGE IS HERE and IT IS NOT GOING AWAY – instead it’s going to increase. And only those organisations who choose to adapt and invest in their people will thrive. It’s time to learn to live and work with change, NOT against it. The approximate 70% of failed changes occur because change is viewed as a linear process that can be aligned with the strategic direction and culture of the organisation. This belief delivers 30% success. The common misconception many people believe is that this is transformational change. It is not! From experience, transformational change requires four key principles which start in our thinking and how we can offset or negate change fatigue. Transformational change starts with developing a culture of ‘change certainty’ as a key strategy against change fatigue. This means the previous uncertainty around change has been transformed to a certainty that can only come from believing change is guaranteed to happen and it is a normal part of the workplace. Only then can change be the new orange. People within in the organisation have developed essential agility and flexibility thinking skills towards change whether it is fast or slow paced, small or large change initiatives. They understand there is always movement, just like waves on the beach and it is better to be on the wave rather than being stuck in still waters going nowhere. Change is now the norm in these organisations and they can pace change with maximum effect while offsetting change fatigue. What do people in the organisation believe about change? What does their actions say about their beliefs? CHANGE IS CONSTANT – CONSISTENT CONTINUITY. Change does not have a start and a finish. It is constant, consistent and continuous as the air we breathe. It can be so subtle we are not aware changes are occurring all the time. Our thinking will filter out a large portion of the change we are exposed to protect us from information overload. Yet we can use this to our advantage. We can be better prepared, have more resources available for significant change – but on condition. We need to acknowledge the existence of changes we were not directly aware of so we become more change intelligent. The more change intelligent we become the more resilient we are through change, therefore change fatigue is highly unlikely to be a problem and change is more likely to be sustainable. What am I now noticing about change that I was not aware of before? How do I know change occurred? CHANGE TOGETHER, SUSTAINABLY – ISOLATION CREATES CHANGE FATIGUE. Developing a ‘change certainty’ culture includes appreciating people filter change differently yet it is these differences that provides an organisation the leverage to make change sustainable. Learning from what other people can bring the ‘change table’ means more choices are available for consideration particularly where significant change is required. More importantly when an organisation collectively understands and builds the ‘change certainty’ culture, it means people are trusted to make decisions, respected for their input, and they have freedom and accountability to use their initiative on smaller, everyday changes that make a difference to frontline effectiveness and productivity which reduces the likelihood of change fatigue. One of the biggest risks for change fatigue is a lack of trust in the change ahead because decisions are made in isolation and as a result people do not have consistent control over decision making in their everyday work. Imagine an orchestra on stage ready to play. They are all in position and have their instruments and music sheets at the ready. Yet it does not guarantee beautiful music particularly if one person changes the music sheets and does not pass on the changes to the other musicians. Only when they are together, attuned to the intricacies of each role and their importance to the successful performance, playing the same notes from the same music sheet, in tune and in time, can the musicians trust each other to perform beautiful music together and as a result, goes beyond the listeners’ expectations. What would happen if the change is undertaken without consultation and communication? Who is struggling with the change that is on the table? How can we help them? What choices are now available through collective sharing and how do they help make the change sustainable? There is a common misconception that change management is a process to ‘get through’, hence why 70% of change initiatives fail. This is a linear, transactional approach – aligning steps to be completed to cross the change finish line. The main problem with this approach is the steps are often done in isolation, without consideration to other areas of the organisation the change impacts and focuses on the implementation of the change with a start and finish thinking style. It is an approach to change that has been inherited from last century and has produced many advances in technology and robotics with lean manufacturing and 6 sigma for example. It is heavily reliant on process driving change. While there is need for aligning processes to help maximise efficiencies, it is no longer enough for sustainable, transformational change. Transformational change requires going beyond transactional aligning of processes. It is continuous, multi-directional, using multiple intelligences to keep momentum and motivation flowing. It requires the ability of the change leaders in particular, to think with both rational and emotional intelligences, then act with agility and flexibility, responding the situation at hand. Only then can leaders positively influence change fatigue. This is a significant skill required for successful transformation change and not to be underestimated. While action needs to happen for change to materialise, it will have limited success until the thinking behind the transformational change action is attuned with the culture, system and people of the WHOLE organisation with people understanding the full impact change has on each. What is the desired outcome of the transformational change? What are the rational and emotional considerations of the change? How does the change impact on the culture, systems and people? And how does the culture, systems and people impact the change? In summary, where change fatigue is highly evident, it means change is being managed is a linear, transactional style that generally ignores the emotional impact change has on the culture, systems and people within the workplace. People then become disillusioned, uninspired and resistant to change rather than embracing change as a normal part of the workplace. Change happens whether we want it to or not. Developing a culture of ‘change certainty’ is essential to successful transformation change that relies on both rational and emotional intelligences from the collective people in the workplace. Transformational change goes beyond the linear alignment of process. It needs attunement that challenges the way change happens, taking organisations, teams and individuals to a level rarely experienced in traditional change management. It means the organisation is so much more productive because people bring so much more value together rather than what they do in isolation. 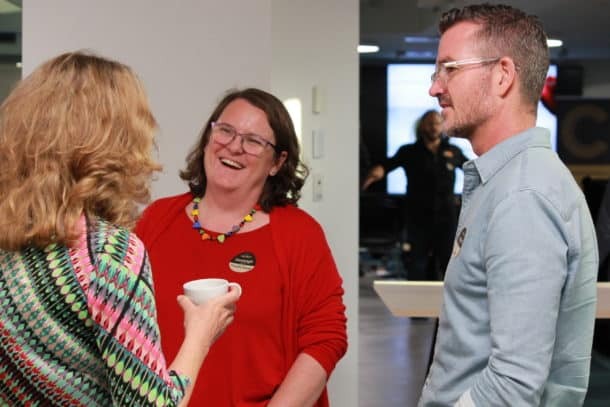 The fours key principles presented here provide you with the opportunity to make change sustainable which means reducing change fatigue and developing an agile, flexible ‘change certainty’ culture in the workplace. 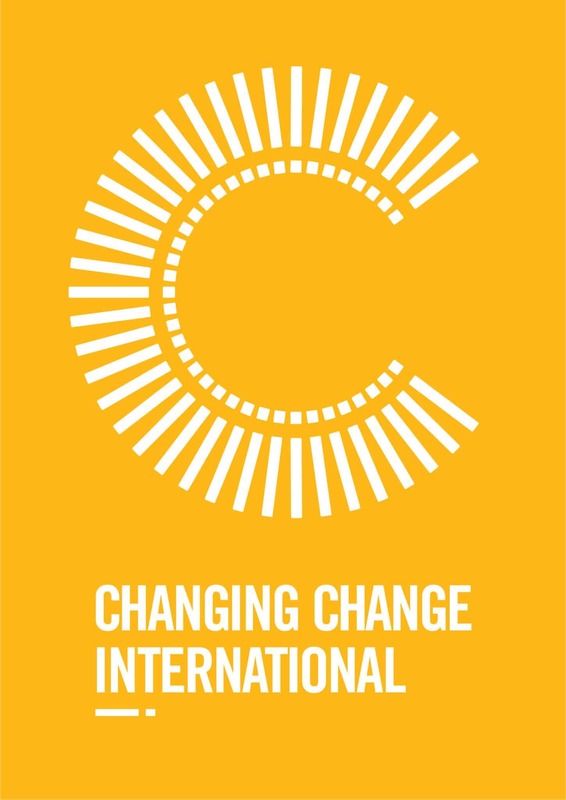 They are part of the Change Anything training developed by Changing Change International (CCI).